"Oh, how can you bear to give them up?" That's the question I always get asked when people find out I'm a foster for A.D.O.P.T. Pet Shelter. I won't deny that it can be hard sometimes. However, I remind myself that these adorable fur balls are the easiest to get adopted and by giving them up, that frees me to take care of other cats and kittens in need. Raising a litter of kittens is hard work. Rewarding, but hard. Kittens only a few days or weeks old can be very fragile and many don't have the greatest start in life to begin with. They often arrive covered in fleas, suffering from ear mites, malnutrition and upper respiratory infections. When there's a mom, it's a little easier since she does the bulk of caring for them. For the first several weeks I weigh the kittens every day as they should be putting on several tenths of an ounce each day. 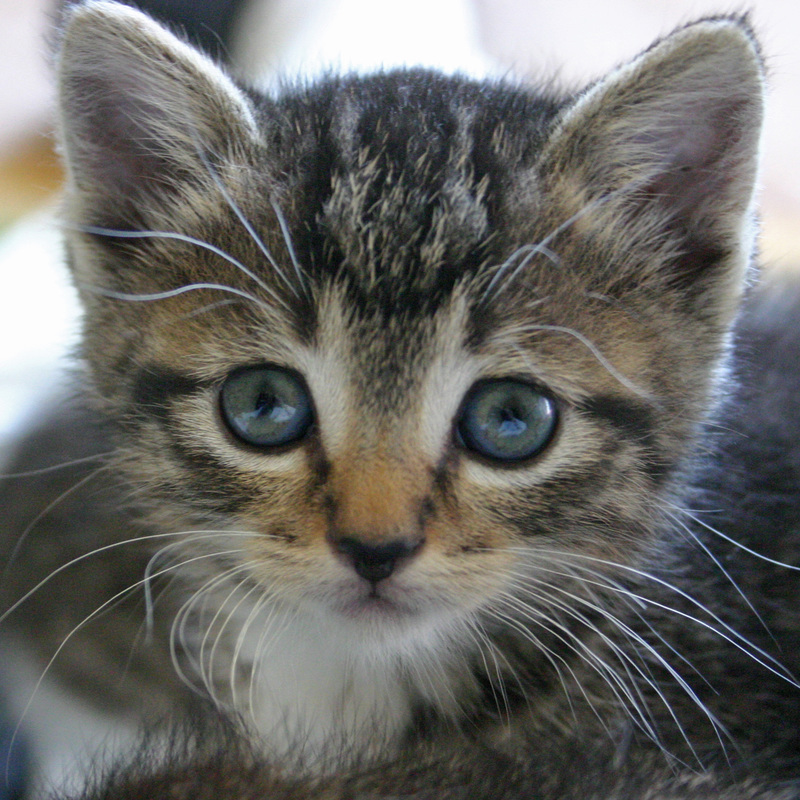 Like humans, cats and kittens will lose their appetite when they get sick. Being so little, they can easily go down hill unless they get regular nourishment. Sometimes that means force feeding them when they don't want to eat, at least until their appetite returns and they are eating on their own. Having fosters adds at least 2-3 hours of extra work to my day. There's the twice daily litter box cleaning, providing fresh food and water and just the general tidying up of a room that has been attacked by rampaging kittens. Then there's the all important "socializing" which involves playing with the kittens, petting them, picking them up and smothering them with kisses. It's a tough job but someone has to do it. By the time kittens are ready to return to the shelter they have entered what I call the Kitten Terrible Twos. At two months, kittens are at their most active and are literally bouncing off the walls and I'm ready to see them head off to their new life.